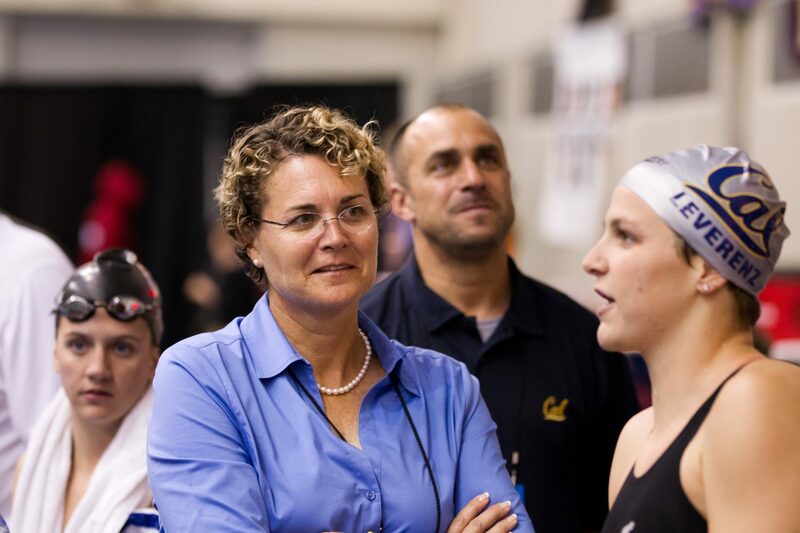 Teri McKeever (women's swimming & diving head coach, 1992-present) Head coach of the Golden Bear women's swimming & diving program for the past 26 seasons, McKeever has guided Cal to four NCAA championships (2009, 2011, 2012, 2015) and four Pac-12 titles (2009, 2012, 2014, 2015). Perhaps as impressive, the Bears have finished among the top 3 in the country each of the last 10 years. McKeever is a seven-time Pac-12 Coach of the Year and has coached seven Pac-12 Swimmers of the Year and six National Swimmers of the Year. In addition, her swimmers have won 36 Olympic medals. At the 2012 Games in London, McKeever became the first woman to serve as head coach of the U.S. Olympic women's swim team, while she was an assistant U.S. coach in both 2004 and 2008. She has twice been head U.S. coach at the Pan Pacific Championships and is a six-time assistant at the World Championships. 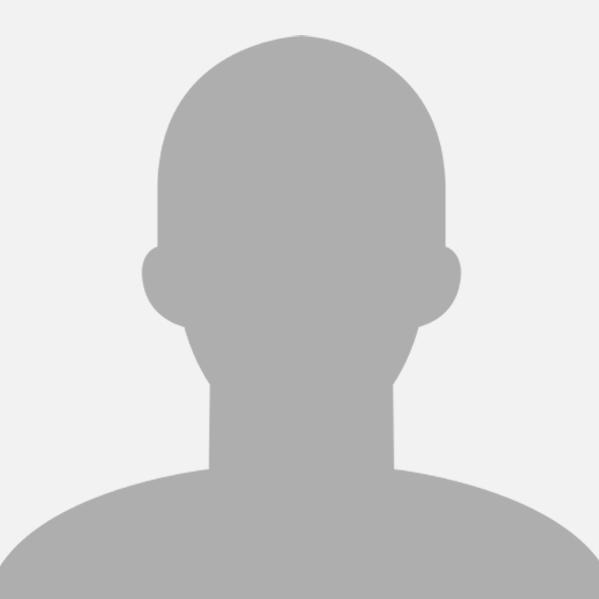 McKeever is a member of the American Swimming Coaches Association Hall of Fame and the San Diego Sports Hall of Fame. Nono has definitely been an unsung hero for the team in the past four years. She has been a staple in the medley relays, and also a significant scorer in the 100 and 200 Fly. She kinda gets lost in the Class between Dream Team after her, and Missy before her. Congrats on your graduation Noemie! And thanks for being such a great representative for the team and University! Bear for Life! Congratulations to our graduates. I thought graduating from Cal as a regular student was tough. I can't imagine doing it as a student athlete. Amazing accomplishment. Go Bears! The College Sports Information Directors of America (CoSIDA) announced its 2017-18 Google Cloud Academic All-District At-Large teams last week and 20 Division I men's swimmers and 17 women's swimmers were among those honored. Honorees are eligible for Academic All-America honors, which will be announced in June. At-large teams include all sports outside of the eight sports with their own Academic All-America programs (men's and women's soccer, women's volleyball, football, men's and women's basketball, baseball and softball.) The awards recognize the top student-athletes nationally for their combined performances on the field of play and in the classroom. The women's list of honorees hosts 17 NCAA Division I swimmers, 21 NCAA Division II swimmers, 27 NCAA Division III swimmers, and 3 College Division swimmers. 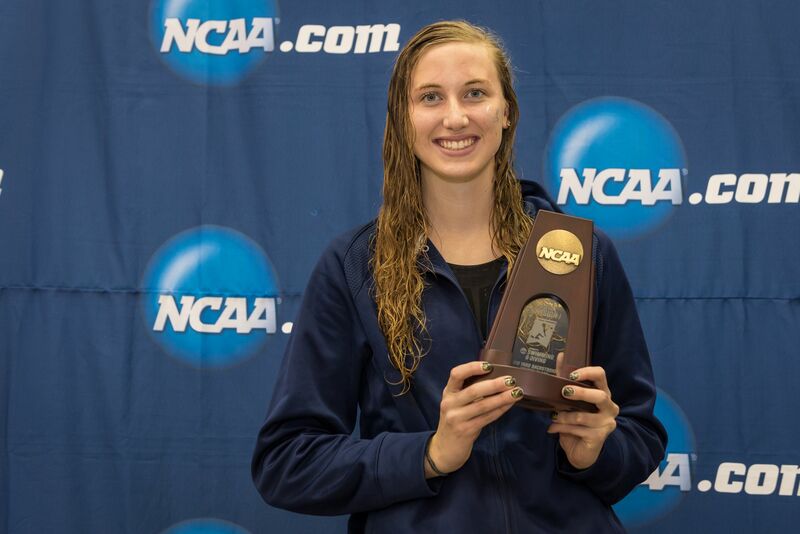 Katie Ledecky (Stanford), Ella Eastin (Stanford), Asia Seidt (Kentucky), Hannah Moore (NC State), and Amy Bilquist (Cal) are among the top honorees for the women. Been completely offline for a while (and will be for a mite going forward), but reckon this should be recognised as massive congrats are in order here - Go Bears! With her selection this year, Noemie Thomas becomes a four-time CSCAA Scholar All-American. Cal continued to add to its list of academic honors Wednesday with the announcement that 19 Golden Bears have been chosen as Scholar All-Americans by the College Swimming & Diving Coaches Association of America. To qualify for the first team, student-athletes must maintain a 3.50 GPA or higher and compete at the NCAA Championships. Honorable mention awards are presented to those who have at least a 3.50 GPA and achieve at least an NCAA "B" qualifying standard or participate at the NCAA diving zone qualifying meet. As a unit, the Bears earned a combined 3.49 GPA for the spring term and were named a Scholar All-American team for the 17th consecutive semester every time the award has been presented. Among individuals, seven Cal student-athletes were selected to the Scholar All-American first team Kathleen Baker, Amy Bilquist, Keaton Blovad, Sarah Darcel, Ali Harrison, Robin Neumann and Noemie Thomas. Joining them as honorable mention choices were Alexa Buckley, Alexa Cacao, Jenna Campbell, Chenoa Devine, Dannie Dilsaver, Jackie Im, Sophie Krivokapic-Zhou, Jasmine Mau, Courtney Mykkanen, Kathleen Navas and Maija Roses. Roses and Thomas, both graduating seniors, received recognition for the fourth time in their careers, while Bilquist, a rising senior, became a three-time pick. Earlier this year, 16 members of the squad were named to the Pac-12 All-Academic team, including first-team selection Bilquist and second-team choices Roses, Campbell, Thomas and Cacao, with 11 others honorable mention. 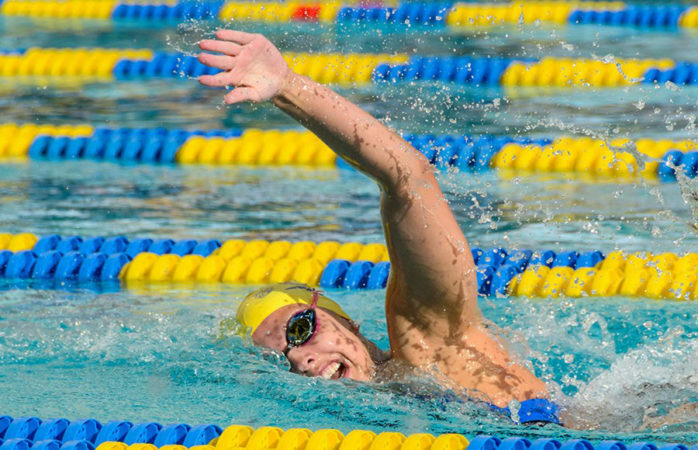 As impressive seasons for both teams come to a close, the Cal men's and women's swim teams continue to push forward in both academic and athletic excellence. The teams combined 25 Scholar All-Americans 19 from the women's team and six from the men's. "We do not only encourage quality work in the classroom, but we expect it," said Cal women's swim assistant coach Sarah Dunleavy in an email. "Our women work very hard in and out of the pool to do well." The women's team finished the spring 2018 semester with a combined GPA of 3.49, and the Bears were named a Scholar All-America team for the 17th consecutive eligible semester. "Our women push each other and hold each other accountable," Dunleavy said in an email. "If someone isn't doing what they need to be in order to be successful, everyone rallies to support and uplift that person academically, athletically and socially." Both teams are looking forward to exciting 2018-19 seasons as the Bears prepare to continue their ongoing trend of both academic and athletic excellence.